The great Dustin Hoffman performance you’ve never seen playing convict on parole Max Dembo, actually it’s one of the best performances ever period. 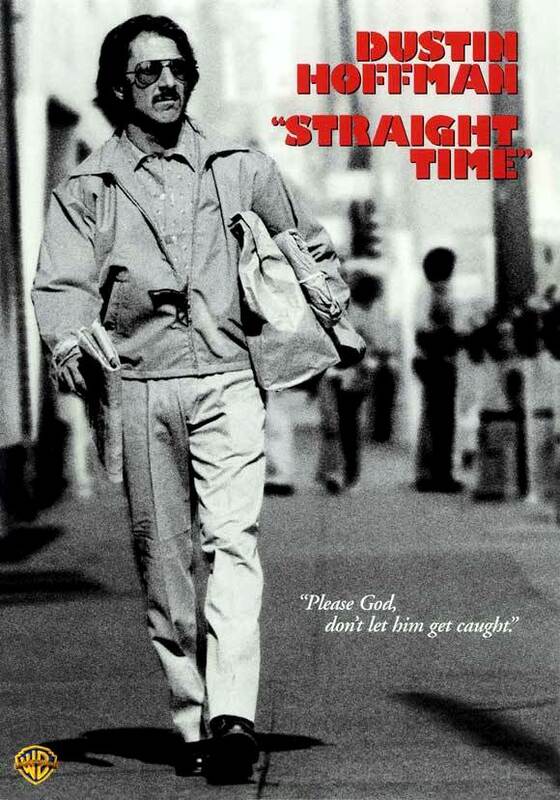 Straight Time (1978) is as obscure a masterpiece you will find, it was brushed under the rug with such disregard that Hoffman sued Warner Bros. over the treatment of the film. Hoffman found the book “No Beast So Fierce” written by Edward Bunker, an actual San Quentin convict still serving, and exhaustively researched the part. Hoffman began directing the film, but decidedly could not handle double duties. He called Ulu Grosbard, the man who gave Hoffman the book to read, to replace him in the director’s chair. The character Dembo refuses a halfway house, finds his own dirt-cheap living quarters, acquires a job at a can factory – but his own parole officer, played by the pernickety and strident M. Emmit Walsh, actually loses him that job (“Over nothing, man!”), and after a blown temper and irreversible outburst of attacking of him, Dembo finds himself a fugitive of the law once again. The hardest thing for the movie to pull off is Dembo’s relationship with Jenny Mercer (Theresa Russell), a contact at a job placement agency who becomes his girlfriend. Jenny has no good reason to keep seeing Dembo after he admits he has broken the law. But she’s one of these girls that’s attracted to helping and abetting bad guys. I’ve accepted Russell in this role after seeing “Straight Time” several times, but it occurred to me in this last viewing, that if it had been any other actress the whole character would have been malarkey. I see Jenny as a bored, limited experienced girl who is blind to danger, and pitying. I also guess that her unseen parents have bought her the house she lives in, and she basically cruises through life feeling she is consequence-free. The movie builds to a smash-and-grab jewelry store robbery that is terrifically suspenseful, especially when the getaway car doesn’t go as planned, and the thieves run through the houses and alleys of the neighborhood (Kathryn Bigelow’s “Point Break” would later take this scenario to the next level). Dembo comes to realize that his acts of larceny aren’t going to last forever, that he’s bound to get caught, so he might as well act out his crimes in bigger and bolder style anyway. This is inevitable when someone like Dembo has spent the majority of life as a criminal and convict. The final droll montage of Dembo through the years sums that up – someone this scary, doomed material has elicited a big laugh. Hoffman has boasted that “Straight Time” is the proudest performance of his career, with “Tootsie” and “Stranger than Fiction” as two other proudest ones if you can believe it. “Straight Time” got no Oscar nominations, that means no love for the picture or directing, the acting, or for the screenplay. Hoffman’s Max Dembo is just about the greatest performance to ever get snubbed. Obscured from audiences during its release, now it’s up to you to make your discovery of this hidden treasure. 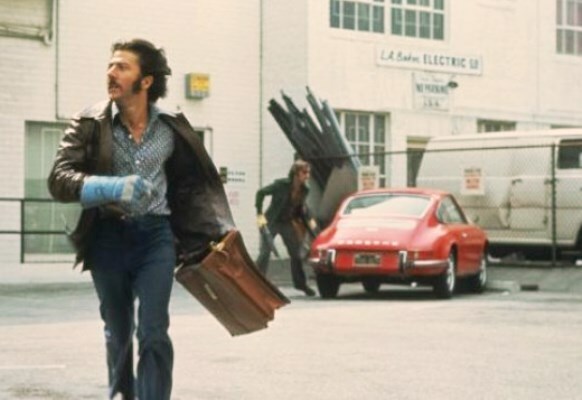 Film Cousins: “Blue Collar” (1978); “Carlito’s Way” (1993); “Heat” (1995); “Jackie Brown” (1997).